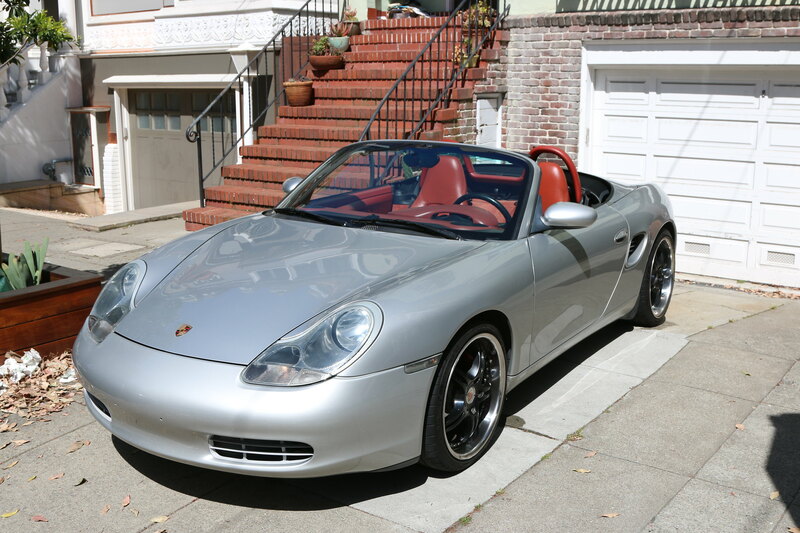 I have for sale a VERY CLEAN 1998 Porsche Boxster in arctic silver. Car is a blast to drive and very fun to cruise around in with the top down. I constantly get compliments on it. I'm the 3rd owner and have all the maintenance record since the car was new. I also have the original Porsche factory manuals and paperwork. Oil has been changed every 4k miles. Car comes with the full leather red interior (drivers seat has slight wear) Currently, the car has 101,000 miles on it. If you have any more questions, please message me. Do you have any pics to post? Without pics it doesn't exist. As for a photo, I tried to insert one and it gave me a broken link.